There are multiple reasons why you might need an outdoor fence. Maybe you are a farmer who needs to properly stock animals at your farm. Of you might just need a fence for the backyard to avoid indiscreet looks while taking a dip in the pool. Either way, you will find the perfect options thanks to the best fencing contractors in Derby (Derbyshire). Quality products of different types like picket fences, barbed wire fences, steel fences or wooden gates are manufactured in Derby (Derbyshire). Bamboo fencing: it is perfect for warm climates and a green option since bamboo can be naturally growth. Very interesting to consider and care about environment. Vinyl fence: it might seem a bit expensive, but it involves almost none maintenance costs. It can resist paint and be easily cleaned. Moreover, is flexible and strong at the same time. Farm fencing: they are different types and all of them are quite expensive due to the hard work it is needed to set them up. Wire fence: it is a virtual fence that it is possible by installing a collar neck in the cattle. The farmer can monitor the fence from the smartphone. Chain link fencing: they last very long, are cheap and require low maintenance work. However, they don’t provide a lot of privacy. Wrought iron fence: they are not cheap and require maintenance works but they are very strong and might be beautifully designed. 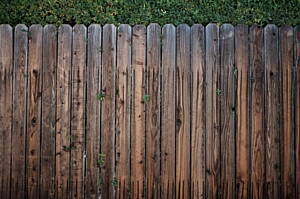 Wood fence: they are a great option due to their durability, costs and appearance. The quality and cost will obviously depend on the type of wood chosen. Aluminium slat fencing: they are basic fences but attractive. Not a good idea where the climate is cold and severe. At Infoisinfo we always work hard to be able to show you where to find the best products and services for you and your company in Derby (Derbyshire). This time, we’d like to give you a hand when choosing quality fences that guarantee safety to your properties. For this reason, we’ve prepared a list of the best fencing contractors in Derby (Derbyshire) for you to choose the service that better meets your needs. Among our directory, you could find the best garden fencing and other types with sophisticated fence designs. Get in touch thanks to the contact details provided such as phone numbers, websites, address and opening times. In addition, you can have a look at comments and valuations from other clients in order to get a better idea about the quality of fences and gates.